Prevention of diaper rash in infants anti moisturizers buy store of traditional medicine. Low prices. Sale cream wholesale and retail. Fast delivery. Health of your baby and his skin depend on properly selected "kosmetik essentials" - baby cream. Especially, it is very important for infants who have a very delicate and sensitive skin. In stores - very large number of children's cosmetic products. Therefore, it is possible and confused. Buy cream. What you should pay particular attention when buying and choosing a cream. Let us examine, for a start, what are children cream. Them conditionally divided into several groups: barrier creams, soothing lotions, moisturizers and versatile cream. Children cream moisturizer, often used for skin care after bathing to soften and moisturize, repair the protective hydro-lipid barrier. The fact that the hardness of the water and surfactant (surface-active "cleaning" of a substance contained in the soap and other means) violate the protective function of the skin, which entails the loss of ability to accumulate moisture. The skin becomes dry and sensitive. So that without moisturizer, especially after bathing - can not do! The structure moisturizer include: glycerin, Vitamin E, plant extracts, various vegetable oils. Buy moisturizer. Cream from irritation of the skin is very good to use under podguzniki, especially those that contain extracts of chamomile, calendula, witch hazel. 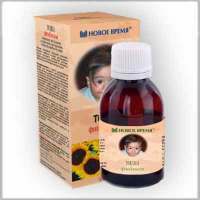 He helps calm irritated skin of the child, reduces redness and diaper rash. Components such as zinc oxide and d-panthenol has an antibacterial effect. They prevent the formation of scars. Protective cream exist 2 types: winter and summer. Summer contain UV filters, winter is - has a dense texture nutrient that prevents frostbite and chapping delicate baby skin. Necessary to use any protective cream, about half an hour before going for a walk. Universal cream have all the properties mentioned above, contains plant extracts, oils, vitaminuy and regenerating skin ingredients. How to choose the right and where to buy baby cream. Before acquiring the cream must carefully examine its composition, which can contain lanolin, beeswax, mink oil, vegetable oil. They contribute to the creation of the protective film on the skin which does not clog the pores. Baby's skin, in their application, receive neobhodimue food and protection, while remaining breathable freely. zinc oxide - is able to stop the inflammation, dries the skin, has antiseptic and bactericidal action. Apply baby lotion immediately after bathing the baby, as well as the appearance of local inflammatory processes. Creme, it is imperative to use at least 2 times a day and apply only to clean skin.